French fries are an absolute classic. Perfect paired with a variety of dipping sauces, prepared in a variety of ways, and coupled with many main courses. These 10 restaurants are serving up deliciously crispy fries. If you love them plain or love them loaded up with toppings—Wisconsin is tough to beat. 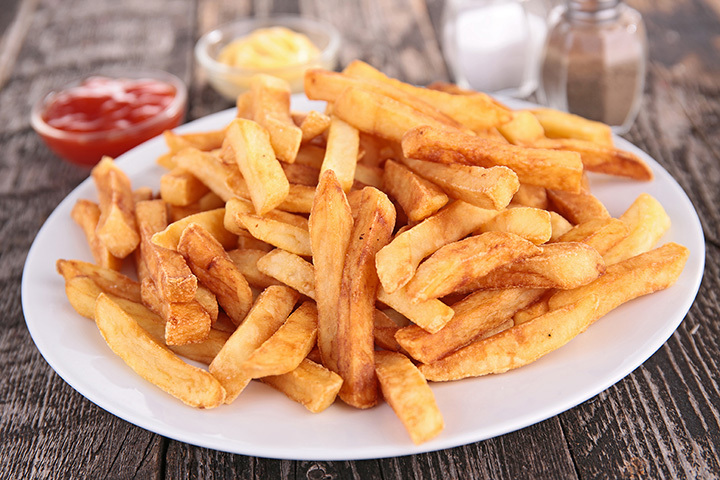 Check out our favorite French fries across the state! Rustique is a tasty little pizzeria in Green Bay. What you might not know is that they serve up some of the best fries in Wisconsin. Their pesto fries are anything but your normal side of fries. Shoestring fries drenched in pesto and topped with a balsamic glaze all for under $8. To keep things going they have a regular side of fries for your meals—just as yummy! Café Centraal is a European-style café with an extensive menu. Are you the least bit surprised that these Euro-fries are a hit? Their frites cones come in traditional or sweet potato option. They even have the choice of two delectable dipping sauces for added flavor. Located just off of Madison’s capitol square, Tipsy Cow has tons of different options for fries. Choose from: beer battered, Buffalo blue cheese, sour cream & onion, clue cheese & bacon, truffle, carnitas, Korean BBQ, and gyro. So many options! Monk’s Bar and Grill is a Wisconsin only chain—and for good reason. Whatever type of food you want, they’ve got it. Including our favorite comfort food—French fries. Monkey Fries are the perfect starter dish to share. They are loaded with Monterey jack cheese, Wisconsin cheddar cheese, crispy bacon and a side of ranch. What would fries be without a side of ranch?! Café Hollander’s frites cones are to die for! Choose between traditional or sweet potato fries served in a paper cone. The fun doesn’t stop there. They have seven different dipping sauces to drench those fries in. Try their Sriracha ranch! Travel back to a simpler time at the Black Pig, known for its tasty comfort food. Order any one of their fry options for a tasty treat. White truffle & black pepper bacon fries, Duck Dine-esty fries, or vegetarian fries. Your taste buds will be on a whole other level! Pig in a Fur Coat is another Madison favorite. You’ll love their duck fat fries. They are served with parmigiano reggiano cheese, topped with a garlic aioli sauce. We promise your taste buds will thank you later! Randy’s Family Restaurant has a been blessing the Eau Claire area with the tastiest home cooking since 1960. Clearly Randy’s potato skins are one to be reckoned with. Try their loaded potato skins loaded with cheddar cheese and crispy bacon. Otherwise order up some of their seasoned potato skins—seasoned to perfected with their yummy chipotle sauce! If you are looking for some of the best sweet potato fries in town—look no further! Oscar’s Pub in Milwaukee is most known for its gourmet burgers, what you might not have guessed is that their chipotle cinnamon sweet potato fries are the best! They are served up with chipotle aioli sauce! We didn’t forget about all your gluten free fry lovers out there. We appreciate Stack’d for whipping up tasty, yet gluten free fries. You might know them mainly for their top notch burgers, but we had to throw some love their way recognizing those GF crispy fries served up with your choice of sauce!